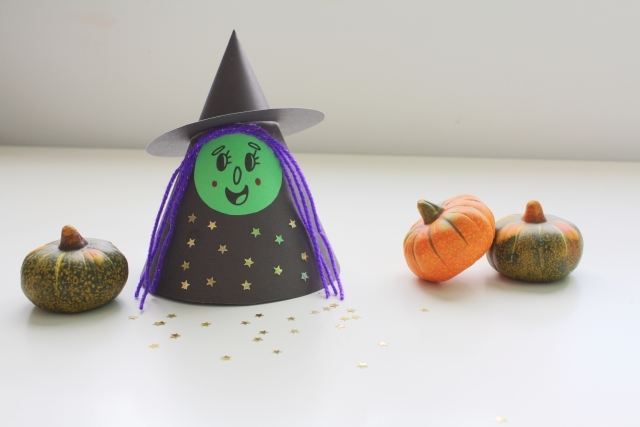 This cute little witch wouldn’t say boo to a ghost but she’ll look lovely hanging around your house this Halloween! 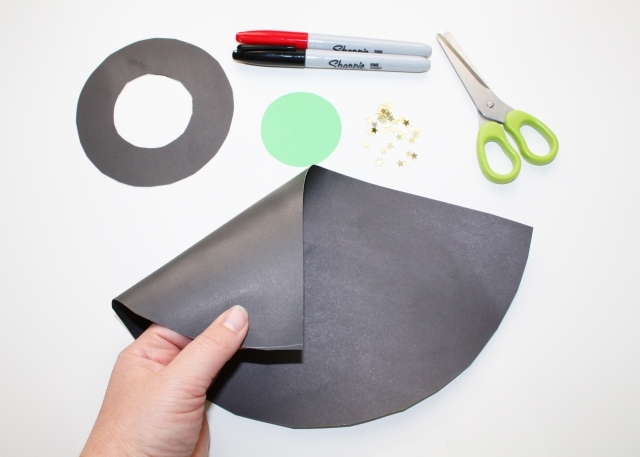 Draw around a dinner plate to create a half-circle on one sheet of the black card and cut it out. 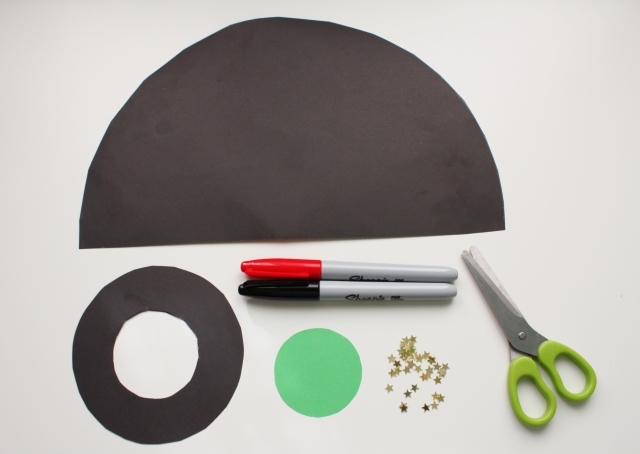 Draw around a bowl and an egg cup to create a doughnut-shape on the other piece of card and cut that out too. 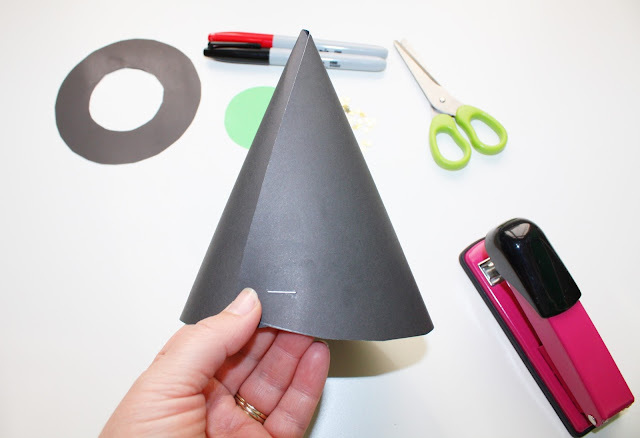 Twist the half-circle into a cone shape and staple or tape in place. Then place the ‘doughnut’ over the top of the point to make the brim of the hat. You might like to use some glue or tape to secure it. 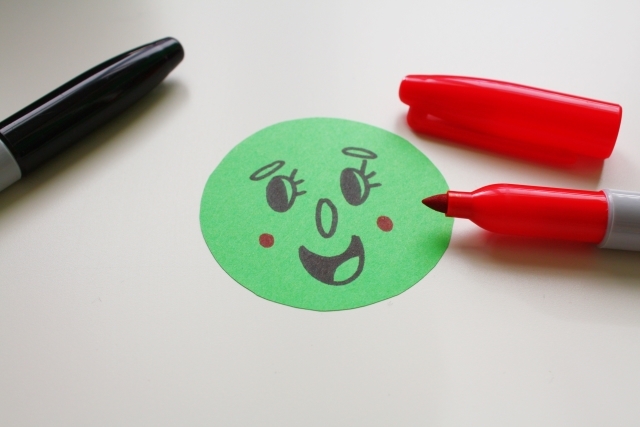 Use your egg cup as a template again to make a green paper circle. 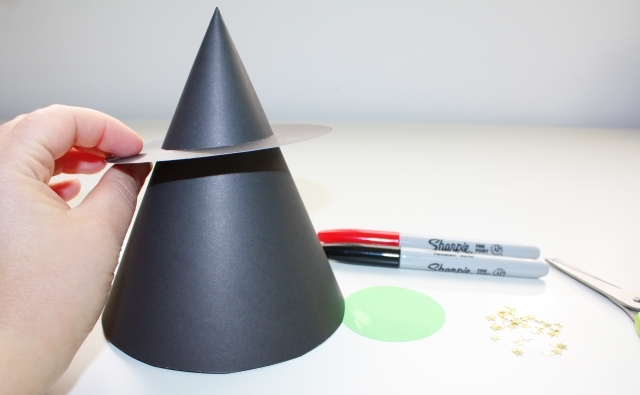 You can draw the witch’s face on this and glue it in place under the brim of the hat. Next glue some lengths of wool around the face to make the hair. Finish her off by by adding gold stars to her dress. Are you getting as excited for Halloween as we are?! 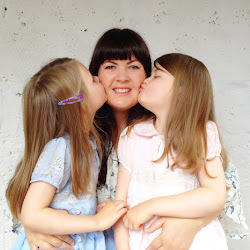 This is so cute, might make an attempt with the toddler although I'm sure it won't look any where near as good as yours!